With the aim of recognising the crucial role played by media in promoting the awareness of the audience on major issues such as cultural diversity, religious understanding, tolerance and peace, the World TV Award was initiated in 2004 under the Category Humanity. "Religious Understanding" and "Conflict Resolution" were the initial topics. In 2013, these were replaced by "Natural Disaster" and "Children's Rights". The major sponsor for this category is the Arab States Broadcasting Union (ASBU). 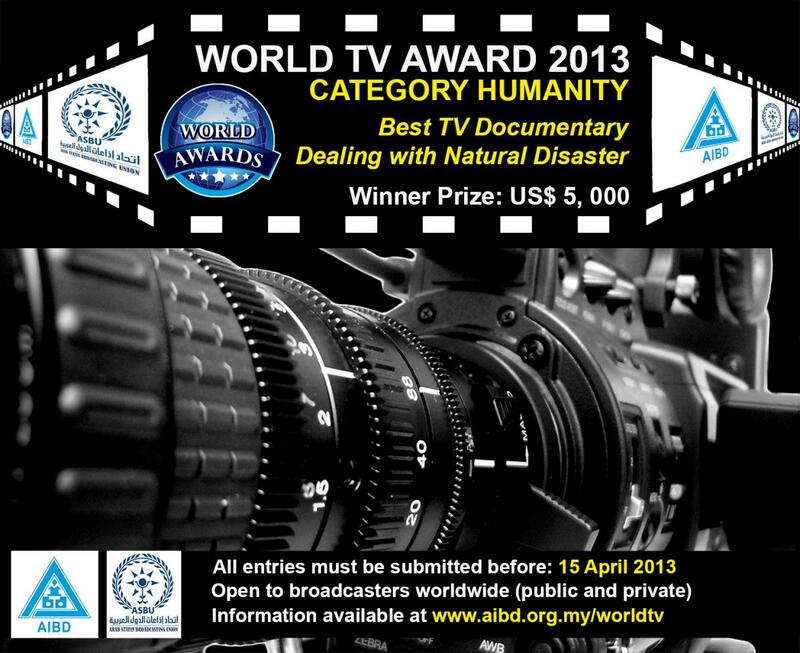 In 2011, AIBD launched the World TV Award, Category Science & Environment in collaboration with United Nations Environment Programme (UNEP). AIBD in collaboration with its global partners presents the World Television Awards 2013. The World TV Awards are open to all broadcasters in Asia, Pacific, Europe, Africa, and North & South America from public, private sector and freelance producers. “The Prize” consists of US$ 5,000.00 cash, a trophy and a certificate presented by AIBD per Award category. 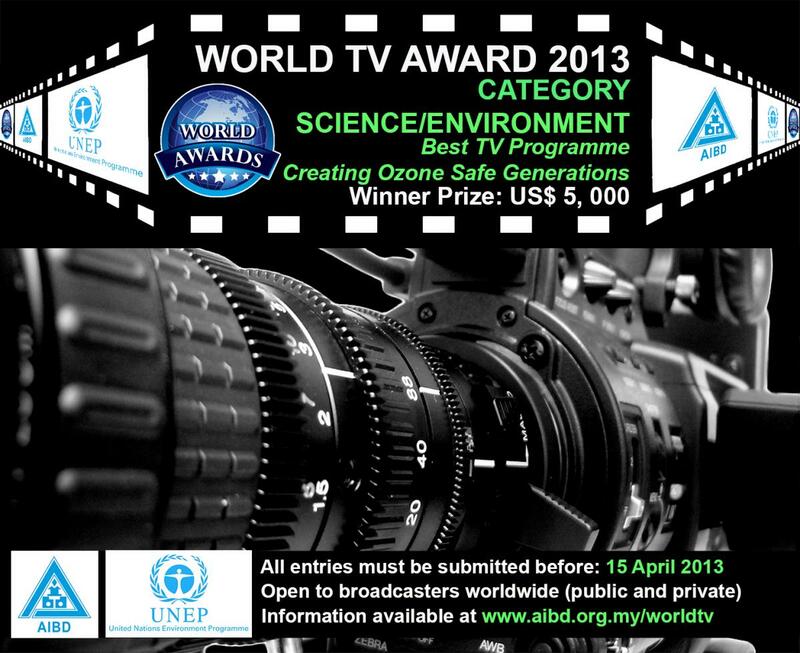 Category Humanity for the Best TV Documentary on "Dealing with Natural Disaster"
Category Science/Environment for the Best TV Programme on "Creating Ozone Safe Generations"
Winners will be presented with their Awards during the Asia Media Summit to be held in Manado, Indonesia on 29-31 May 2013, a global gathering of broadcasters. The deadline for programme submission is 15 April 2013. 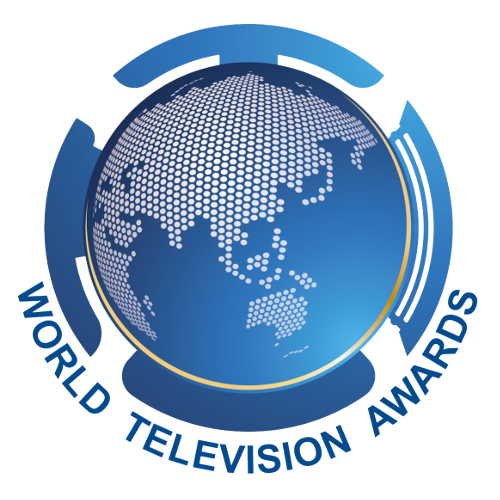 Criteria & Entry forms are available under "Form & application"
The World TV Awards are supported by United Nations Environment Programme OzonAction, Arab States Broadcasting Union, Radio TV Malaysia and The Islamic Broadcasting Union. A member of the younger generation explains the issue of the depletion of the Ozone layer to her parents, so they are informed about what to do about it in their home. This content requires the Flash Player. Download Flash Player. Already have Flash Player? Click here. This documentary compared the lives and religious practices of a monk in Germany and a Buddhist priest in Korea as being similar. Although of different religious beliefs and orders, the over all search for internal peace and love of all mankind was similar in both these religions and practice by both these religious orders. Winners of the World Television Awards 2012 were officially announced at the recent Asia Media Summit in Bangkok. Ms. Moneeza Hashmi, President of the Commonwealth Broadcasting Association (CBA) and General Manager, International Relations, HUM TV, Pakistan announced the winners before some 600 participants to the two-day Summit from 29-30 May 2012. In the Humanity category for the Best TV Documentary on "Promoting Religious Understanding and Tolerance” the winner was “Dharma – Where does happiness lie?” directed by Chan-Gyu, Yun and Geun-Young, Choi and broadcast by KBS ITV, Republic of Korea. Runner-up was “Two women – A shared tragedy" directed by James Pastouna and broadcast by ARD, Germany. “Ozone – The Human Factor” directed by Rehan Ahmed and broadcast by HUM TV, Pakistan, won the top prize in the Science / Environment category for the Best TV Programme on “Preserving the Ozone Layer and Protecting the Earth". Mr. Rehan Ahmed was presented with a trophy and certificate by Dr. Young-woo Park (Regional Director and Representative for Asia and the Pacific United Nations Environment Programme, Regional Office for Asia and the Pacific) and Mr. Yang Binyuan (Director of AIBD). Runners-up were “Phase out HCFs which are safer for the ozone layer” directed by Khvay Atitya and broadcast by TVK, Cambodia, and "Preserving the ozone: from happy people" directed by Sonam Phuntsho and broadcast by BBS, Bhutan. The trailers of the winners were screened in front of 700 delegates. The top winners received a cash prize of US$5,000, a certificate and trophy each. The judging session of the World TV Awards took place at the AIBD office in Kuala Lumpur on 7 and 8 May 2012. Ms. Moneeza Hashmi chaired the jury composed by 7 senior media practitioners from Asia and Europe and evaluated some 32 entries from 18 countries in the Humanity category. For the Science/Environment category, the jury viewed a total of 24 entries from 14 countries. The World TV Awards 2012 were supported by the Arab States Broadcasting Union (ASBU), the United Nations Environment Programme OzonAction. Radio TV Malaysia (RTM) and The Islamic Broadcasting Union (IBU).